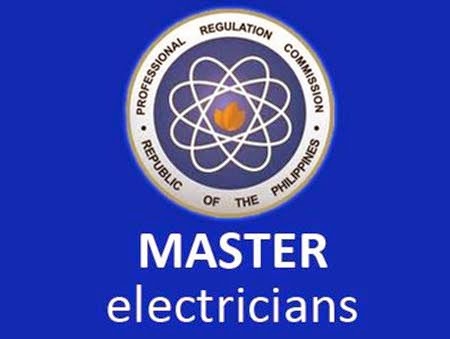 The exam takers of the Registered Master Electricians Board Exam on September 2014 finish their exams in Manila, Baguio, Cebu, Davao, Iloilo, Legazpi, Lucena, and Zamboanga Today, September 8. All applicants of this licensure exam are now excited to see the results for the September 2014. Engr. Fortunato C. Leynes is the Chairman of Board of Electrical Engineering who gave the licensure examinations together with the members, Engr. Jaime V. Mendoza and Engr. Francis V. Mapile. Usually, the official results of Registered Master Electricians takes three (3) working days from the last day of examination. So! you may expect it this coming Thursday, September 11, 2014. Please keep this page for you to be updated on this licensure exam results. For more information about the RME Registered Master Electricians September 2014, kindly bookmark this page and share to your joined social networking sites. Comments or suggestions about "September 2014 RME Registered Master Electricians Board Exam Results " is important to us, you may share it by using the comment box below.